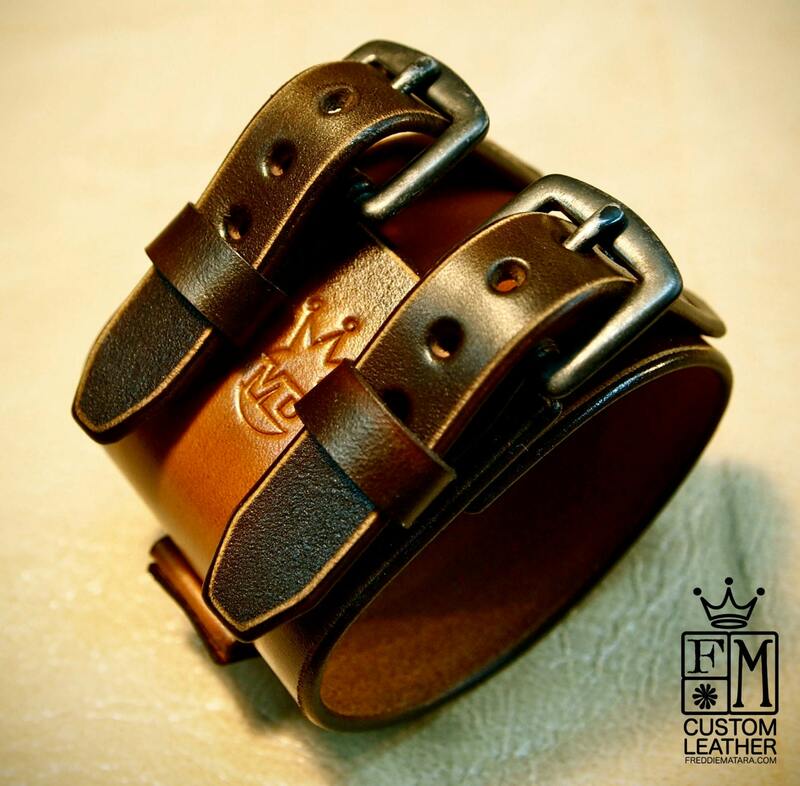 Brown Leather Cuff : 2-tone Watchband bracelet. 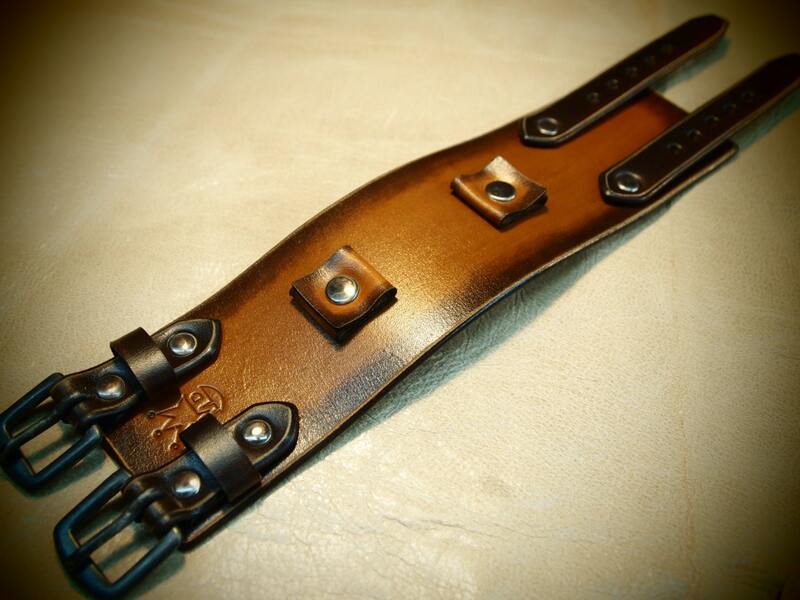 Depp style with Distressed hand aged hardware! 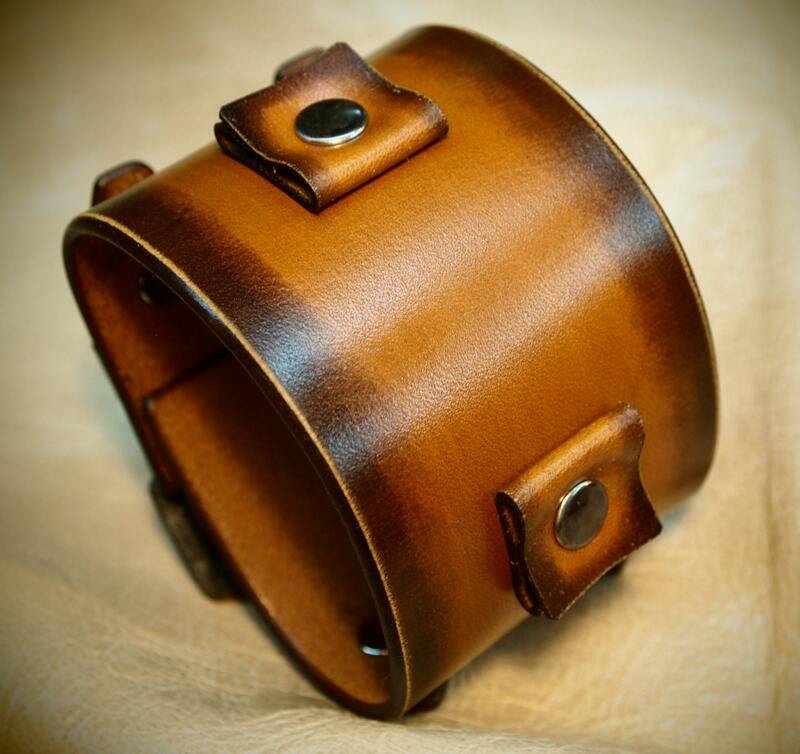 This brown leather cuff is hand dyed a vintage 2-tone, lightly distressed Tan/walnut fade . It features two 3/4" watch connectors and uses two 5/8" straps. Two quality hand distressed buckles provide the closure and hand distressed hardware finishes it off! A great width for any wrist! This cuff can be used with or without a watch! 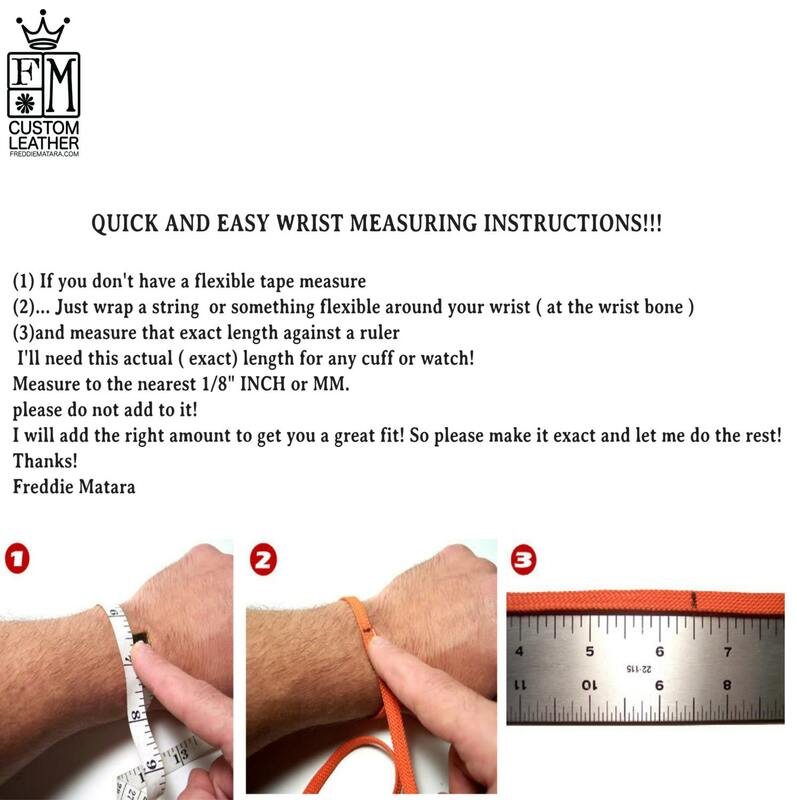 Custom sized for your wrist! Instruction for measuring in the above pics!